How do we know if we’ve been bitten by bedbugs? Normally, a visit to the doctor is not always our first move. Instead we go to the internet and search for bed bug bites pictures posted by people who have actual experiences of being bed bug victims. However, everything on the internet is not always true or reliable, unless confirmed by a skin specialist such as a dermatologist, bed bug bites pictures shown on the internet will not always be from bed bugs. It is also important to understand that bed bug bites are not something to be alarmed about, unless the victim’s skin is extremely allergic to bug bites. However, having bed bugs inside your home is distressing enough, and their bites can be very irritating. 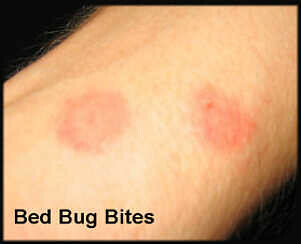 Read and browse through pictures of bed bugs bites. We are here to help you get rid of bedbugs as soon as you call us.